This is an absolutely wonderful piece of news that we can't believe we missed back at the start of March. Earlier in the year, James Newton Howard and Lionsgate reached out to music schools and students across the UK to help contribute to the Mockingjay - Part 2 score, which was recorded last month at London's Abbey Road Studios. Reportedly, over 2,000 young students submitted pieces, and Newton Howard picked out pieces from 24 lucky hopefuls to use in the final film score. As part of the project, she has also had a masterclass with legendary film composer Hans Zimmer, who has composed music for more than 150 films and received an Oscar for his work on the Lion King score. And [Lizzy] has been told she can attend the film premiere at either London, Paris or New York. 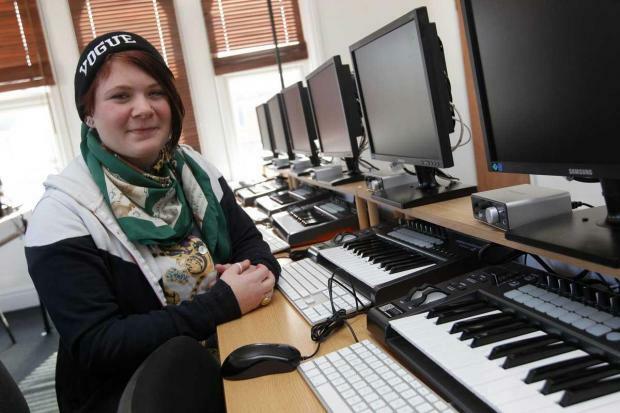 Lizzy, a music production student at Kinson-based ACMR, said: “I couldn’t believe it when I was told I was successful. “I had forgotten about it, so when I was contacted I was amazed. “I’ve seen the previous films so it would be amazing if my music was used in the new film. “My family are really proud and I feel like I’ve proved to myself that I can do this. Rob Birchall at ACMR said: “This is an incredible achievement for Lizzy and we’re very proud of her. “For a student to be working on the score of a major Hollywood film is just amazing. “They wouldn’t waste their time if they didn’t think they would use it.”“The mere fact that they’ve taken some of her work and put it in for scoring is a real boost. Read more at the Bournemouth Echo, and we can't wait to hear what Lizzy and the other talented young musicians have come up with for this score!